When you call upon Grah Safe and Lock to install video surveillance equipment at your San Diego home or business, we can help you complete your security picture. Even with the best access control systems, there are instances in which only video surveillance gives you the total control you may need by letting you view what is happening or has happened in the past at a specific site. Remote video surveillance not only lets you keep a sharp eye on a specific location, but will enable correctly gathered images to be used by law enforcement officials or in courts of law. What is the area to view? Will you be recording the images? What is the distance from the camera to the most important items to view? What are the lighting conditions both day and night? How fast is the motion to be recorded? Do you want obvious or covert camera placement? How many sites will need to be recorded? Your answers to these important questions will enable us to create the ideal video surveillance system for your business or home. Since 1914, our mission has been to help our San Diego neighbors to secure their commercial and residential properties by utilizing the very best in security equipment. We work to help you prevent incidents, establish control, and provide accountability, and there are situations in which only top-notch video surveillance systems will fulfill your security needs. We sell and install an excellent variety of video surveillance equipment, from very simple low-resolution nanny cams to high-definition video surveillance cameras with the potential to produce enlargements suitable for use in court trials. While video surveillance is not generally a crime deterrent, it will greatly aid your enforcement efforts. When the basics of physical security and access control are in place, a video surveillance solution will magnify the effectiveness of your other security measures. Q. 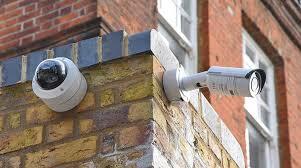 What are the advantages of video surveillance? A. Remote video surveillance can actually help you increase security while investing less. Remotely viewing a site can give you a live or logged record of everything that has taken place at a specific location, and can be very helpful for legal purposes. Q. Can an old video system be used with a new system? A. Generally old systems can be incorporated into a new system, with some minor upgrades. After a through review, that determination can be made. Q. What quality of video images can be collected? A. At Grah Safe and Lock, we generally work in commercial-quality video image collection. Taking this route will keep costs down while delivering video surveillance images that are good enough to view. Let us find the right solution for your specific needs. We're one of San Diego’s largest and most respected local locksmith companies. Your safety and security will always be our top priority. Founded in 1914, Grah Safe & Lock is the San Diego Locksmith your neighbors trust For home and business security.